Our spacious guest rooms feature contemporary decor with stylishfurnishings including the Hyatt Grand beds, state-of-the-art media andwork center with a high-definition 42 inch flat panel television thateasily integrates with laptops and other electronic devices, a cozy corner L-shaped sofa-sleeper, wet bar and bathroom vanity upgraded with granite countertops. 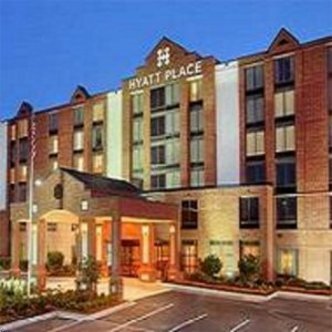 Enjoy complimentary hotel-wide wireless high-speed internet and continental breakfast buffet. A 24-hour Grab & Go food outlet.